Featuring internal feeder, rotating drum screen, SCREENMASTER® RT Screening System is designed with perforated metal, wedgewire and weir system. Available in models with drums up to 60in. diameter and up to 156 in. in length, unit features internal and external pressure nozzles. Suitable in manufacturing, tanning and slaughterhouse operations, RT is available with choice of screen openings from 500 x 500 micron up to 6 mm perforations. 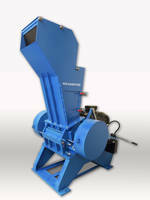 The SCREENMASTER® RT is the latest addition to Franklin Miller’s fine screening systems. 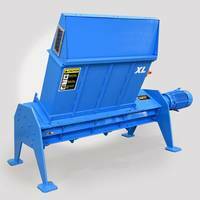 This unit features an internally fed, rotating drum screen, providing fine screening for a wide variety of municipal and industrial applications. These include wastewater treatment, pulp and paper processing as well as manufacturing, tanning and slaughterhouse operations. The RT has a simple and reliable design. 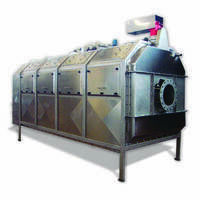 It employs a cyclindrical screen constructed with perforated metal, wedgewire or filter cloth along with a weir system. In operation, the material is fed into the unit’s inlet and is distributed along the internal screen surfaces. As the drum rotates, the weir moves the solids along the screen length. 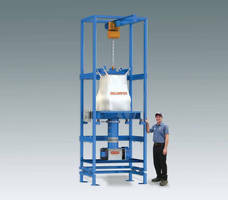 Solids are conveyed to the unit's discharge and liquids are drained via the unit's outlet port. The RT is provided in a choice of models with drums up to 60" in diameter and up to 156 inches in length. The SCREENMASTER RT is ruggedly constructed for smooth operation and long life. It is supplied in corrosion resistant T304 or T316 stainless steel. The unit is provided with a choice of screen openings from 500x500 micron (filter cloth) up to 6 mm perforations. Screen segments are readily accessed from the outside of the unit after removal of the exterior panel enclosures. The RT is provided with internal as well as external pressure nozzles to keep the screen clear. 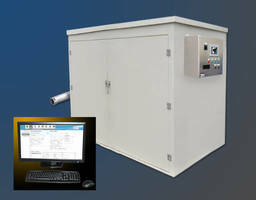 A control system is typically provided in a Nema 4x enclosure. The unit is easy to install and very simple to maintain.